We know little of the prophet Joel beyond a few personal details contained in the book itself. He identified himself as the son of Pethuel, preached to the people of Judah, and expressed a great deal of interest in Jerusalem. Joel also made several comments on the priests and the temple, indicating a familiarity with the centre of worship in Judah (Joel 1:13–14; 2:14, 17). Joel often drew upon natural imagery—the sun and the moon, the grass and the locusts—and in general seemed to understand the reality that truth must have an impact on us in the real world. Dating the writing of the book of Joel remains one of the most difficult tasks for Old Testament scholars because unlike most prophetic writers, Joel gave no explicit indication of his time period. In particular, Joel refrained from mentioning the current ruling kings. One of the most compelling arguments for dating the writing of the book of Joel explains this omission by suggesting the prophecy occurred in the aftermath of Judah's only ruling queen, Athaliah (d. 835 BC). Upon her death, she left only her young son, Joash, to rule. But because Joash was too young to rule, the priest Jehoida ruled in his place until he came of age. So if Joel prophesied during this caretaking period, it would make sense that he mentioned no official king. The book of Joel also makes ample mention of priests, temple rituals, and nations, such as Phoenicia, Philistia, Egypt, and Edom, which were prominent in the late ninth century BC. 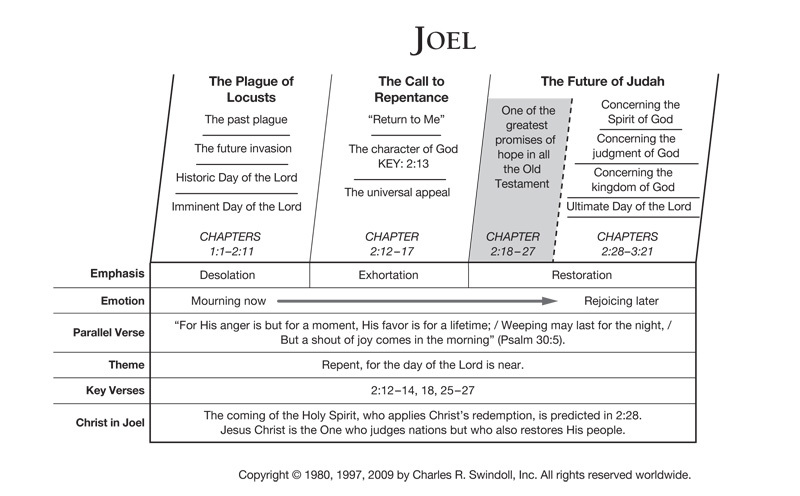 All of this points to a date of approximately 835 BC or soon after, making Joel one of the earliest writing prophets, as well as a contemporary of the prophet Elisha. Find resources in the book of Joel in our resource library.